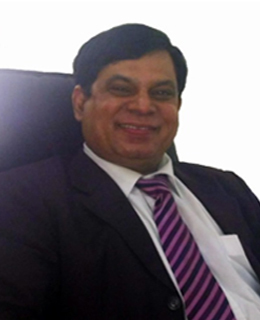 Dr. Abhay Kumar Pati was born in Raj-Nilgiri, Balasore District, Orissa, India. Dr. Pati was trained as a Physician in Calcutta at J.B. Ray State Ayurvedic Medical College & Hospital [Asthanga Ayurvedic College], which is one of the oldest Ayurvedic institutions in India, under Calcutta University. Dr. Pati came to U.S.A. almost 30 years (3 decades) ago on a fellowship. He was the publisher of an International Health Magazine called Health World. Dr. Pati is an author of several health books including, Vitamins and Herbal Digest, a 360 page book, which has been printed more than 7 times and sold over 1 million 250,000 copies in the worldâ€™s market. In this digest, readers can find nutritional, Ayurvedic, Chinese, Native American, South American herbal supplements and much, much more. He has also written books entitled "Alternative Health Guide", Fruits of the World, " Medicinal Plants of India" etc.